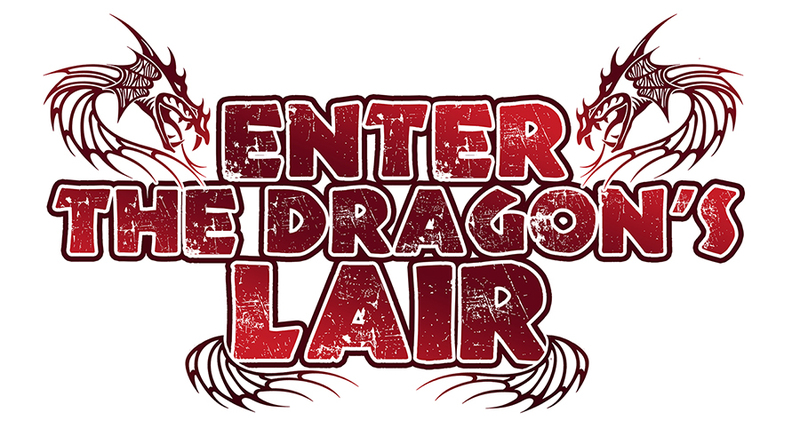 Our expert judges have conferred, and we have our five finalists for the Enter the Dragon’s Lair contest! Each day this week, we’ll post one of the finalists, and then we’ll set up a voting process so that you, our readers, can vote for your favorite entry. Today’s entry comes from Christopher Lockey—congratulations, Chris, for being another of our finalists! For nearly a century, Blinder’s Keep has remained an undisturbed antiquity of a previous age. The Lords and Ladies who once held sway here have long since faded from memory. And as time waxed ever-onward, and trade routes between Runkelstad and Zobeck widened, an eponymous settlement sprang up around the ancient edifice. Over the years, the village of Blinder’s Keep has grown and withered along with the ebb and flow of free trade. 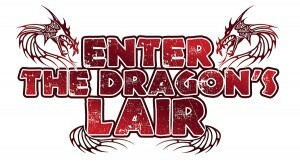 But a recent unnatural disaster has forced the folk of Blinder’s Keep to flee for their lives. By the light of the last full moon, a huge meteorite crashed into the Keep proper from beyond the heavens above. And though the simple minds of the Crossroads people no doubt view it as an act of the gods, this unholy slab of alien stone actually was produced from a fissure in the sky – a rampant portal to The Yawning Void. Exactly how the sky was torn remains a mystery. But the arrival of the meteorite swiftly destroyed the crumbling tower of the keep, sent the villagers fleeing in panic, and no doubt attracted the attention of local sages and doomsayers. —A refugee from Blinder’s Keep rambles on about a “fire in the sky” and a “sickening death” that surrounds the land. —The party is hired by a local merchant house to investigate delays on the trade route. —A holy man enlists the party to rid the ancient site of a new evil. An NPC related to one of the PCs is from Blinder’s Keep and has sent word for relief. And while the meteorite has no doubt raised many curious brows of Crossroads sages, it also attracted the attentions of a particularly menacing Black Dragon named Vor’astrix. Nesting in the nearby swamplands of the River Argent, Vor’astrix was lured to Blinder’s Keep by curiosity. And this curiosity, it seems, got the better of Vor’astrix – for the meteorite itself is a radioactive harbinger of a unique Darakhul fever from beyond The Yawning Void. The Black Meteorite: The meteorite itself is made of an unidentifiable Magnetized Ore (CR 4) XP 1200 (Pathfinder RPG GameMastery Guide), and features a 20 ft. radius of Medium radiation (Pathfinder Campaign Setting: Numeria, Land of Fallen Stars). This “void radiation” also exudes the properties of Darakhul fever – those unfortunate enough to perish in the meteorite’s area of effect must save accordingly or succumb to the fever’s ill influence and (potentially) rise from their untimely grave as undead. The Black Meteorite resides in a huge crater inside the Keep itself, where Vor’astrix has nested and dutifully studies its power from beyond the grave. At the time of this encounter, most of the locals have moved on. Those who remain avoid the area for fear of whatever foul essence lurks within. 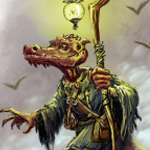 Of course, if you’re feeling particularly sinister, a few villagers may very well serve Vor’astrix as undead thralls. The former dragon guards the meteorite to her final death. 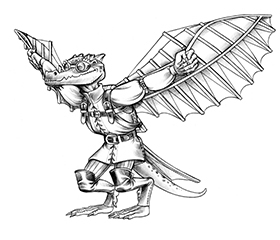 Speed 60 ft., fly 200 ft. (clumsy), swim 60 ft., burrow 30 ft.
Treasure: As several adventuring parties have no doubt fallen prey to Vor’astrix and her evil ways, award treasure according to the tables as described in the Pathfinder Core Rulebook and Pathfinder RPG GameMastery Guide. A ghoulish dragon? Cool. And congrats! Thanks guys! I just saw the article and I’m thrilled and honored to have made it this far. I think the prose is fine, but the stat block is a little messy. Why is the frightful presence DC so low? Why is the touch AC 10 instead of 12? The formulae for special attacks inside the stat block shouldn’t exist—just give us the DCs. Undead have “—” Con, not “0” Con. There are other mistakes in the stat block, making this a fun read, but as an encounter, there’s extra work required on the part of the GM. Awesome encounter Chris. It will be my honor to run it for my group. Very proud of you!